Austin joined the sociology faculty at Pennsylvania State University in 1972 and would remain there until his ambassadorial appointment 29 years later. While at Penn State he advanced through the ranks of the faculty becoming an authority on race and gender disparities in the criminal justice system. From 1994 to 1998 he served as Director of the Crime, Law, and Justice Program at the university and in July 2001, shortly before his ambassadorial appointment, he became the Director of the Africana Research Center. Austin also made significant scholarly contributions to sociology in researching Caribbean social structures. He has published extensively in sociological and criminal justice studies journals on juvenile delinquency, deviance, and race in the criminal justice system. He holds memberships in the American Sociological Association, the Caribbean Studies Association, and the American Society of Criminology. During his eight year tour as U.S. 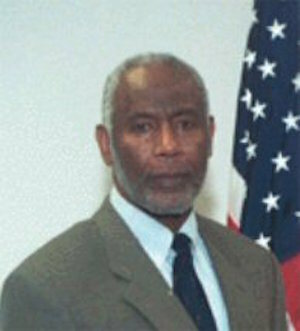 Ambassador to Trinidad Austin promoted trade with the United States and American investment in the twin island nation. He also encouraged the nation to continue its strong democratic tradition and help other countries in the region do the same. Austin urged the government and people of Trinidad to protect its natural resources and preventing the denigration of the environment. In 1967 Ambassador Austin married Glynis Josephine Sutherland in New Haven, Connecticut. The couple has two sons, Roy L. Austin, Jr. and Roger Austin, and one daughter, Deborah Austin Depay. U.S. Department of State, http://2001-2009.state.gov/r/pa/ei/biog/7061.htm; PSU Sociology Professor to be Named Ambassador, http://www.collegian.psu.edu/archives/article_9e3c3f28-5889-55b1-8ba6-89fa34a805d3.html; “Roy L. Austin Appointed as Ambassador to Trinidad and Tobago,” http://asanet.org/footnotes/septoct01/fn15.html; “Roy L. Austin,” NNDB: Tracking the Entire World, http://www.nndb.com/people/080/000120717/. Tracking the Entire World, http://www.nndb.com/people/080/000120717/.